For Gay Christian Musicians, Work Balances Faith, Art, Love For gay Christian musicians, choosing to come out often means watching their careers disappear. For Jennifer Knapp, coming out as gay meant abandoning a promising career as a Christian singer-songwriter. Many Christian denominations denounce homosexuality as a sin. As a result, gay Christian singers, songwriters and musicians face a challenge in balancing their art, their sexuality and their faith. For those few who have decided to come out, it has meant giving up successful careers. 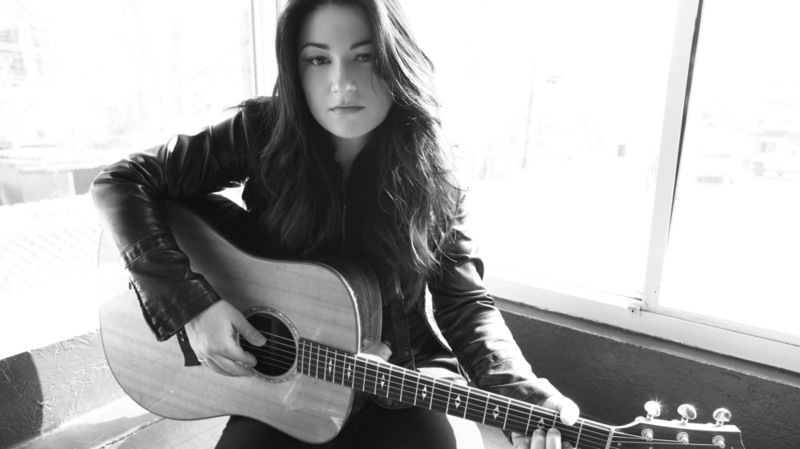 Singer-songwriter Jennifer Knapp has sold more than a million albums and earned Dove Awards on the strength of songs like her 1998 hit, "Undo Me." But in 2002, at the height of her career as a contemporary Christian artist, Knapp suddenly stopped making music. "Knowing that I was going to have to publicly deal with my sexuality — it really made me consider how much I wanted to participate in music," Knapp says. Seven years later, Knapp reemerged, no longer self-identified as a Christian artist — instead, she was a folk-rock musician, a person of faith and a lesbian. Knapp says that even after all that time, she still had doubts about coming forward. "It made me very hesitant to get back up into the public level, knowing that there would be discussion about my sexuality on the whole," she says. Dr. Teresa Hairston, publisher of Gospel Today magazine, says there are clear expectations regarding sexuality in the Christian church and in the Christian music industry. "There is an assumption that as a minister of the gospel — and your expression of that ministry being in song — that you are an ambassador that carries with the gifting of the music a lifestyle that agrees with the Bible," Hairston says. Yvette Flunder was an ambassador of the faith as the lead singer for the legendary gospel group The Hawkins Family. She was also a minister at the Love Center Church in Oakland, Calif., founded by group leader Walter Hawkins. "At Love Center, we sort of practiced a 'don't ask, don't tell' environment," Flunder says. "Same-gender-loving people did exist in significant numbers, and do exist in significant numbers, but the determination was that it was problematic to be open about it. There were people in the ministry who were not able to reconcile same-gender sexuality and spirituality — particularly Christian spirituality." Flunder eventually left Love Center to found The City of Refuge Church in San Francisco. After she came out, she discovered that religious groups aren't the only ones uncomfortable with openly gay Christian artists. "It became clear to the record label that my theology was a potential liability ... not because I was unique as a same-gender-loving person singing gospel music, but because I was clear about my sexuality and clear about my theological position regarding human sexuality," Flunder says. That tension eventually led to the end of her record deal with a major Christian label. Flunder's experience isn't unusual. Another artist, Tim Dillinger, was known around Nashville as a go-to backup singer for gospel and secular recordings. Eventually, Dillinger began to get airplay for his own songs, such as "That's the Kind of Love." But one day, all that changed. "Somewhere around the end of 2006, I came out on a gospel radio station in Kansas City," Dillinger says. "I did an interview there with a minister, Gerald Palmer, and it was the first time I'd said it publicly. It was the first time I'd talked about it in any kind of public forum, let alone on a gospel station." Dillinger says coming out went from being a freeing experience to a devastating one. "My audience in Nashville, where I was doing my concerts, literally cut in three-quarters," Dillinger says. "I used to say it cut in half, but it was really three-quarters. I went from being able to fill a room to begging people to come again." Teresa Hairston of Gospel Today says cases like Dillinger's are an unfortunate reality. "I think people should be able to be open about their choices," Hairston says. "They should be loved despite their choices. But they also have to realize that they have to be accountable for their choices, and that their choices have consequences." For artists like Jennifer Knapp, those choices meant giving up a career as a gospel artist and coming back as a secular artist. For others, it has meant the end of their careers. "A lot of people disappear. They have big careers, and then they disappear," Dillinger says. "It's almost like they do the music for the season that they can, and then they move on and take care of their personal lives. And it's just kind of a shame to me that this is what this community really forces people to do, because we are not willing to have an honest conversation about sexuality and really, really talk about why we believe what we believe." For her part, Flunder says she's not discouraged by these challenges. In fact, she adamantly expresses optimism about what the future holds for gay Christian musicians. "The time will come," she says, "when the church will celebrate its gay children and the incredible contributions that same-gender-loving people have made to the life, to the income, to the spirit, to the power, to the passion of the church."